I'm pulling a Gwyneth Paltrow, sorry! 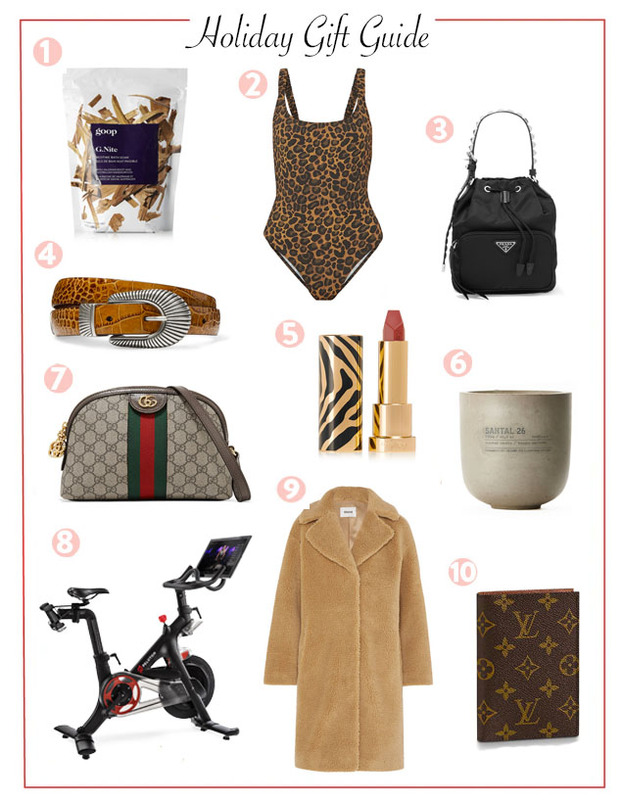 If you don't know, Goop (owned by GPal/lifestyle brand) comes up with the most insane gift guide from a $6 million balloon expedition over Mt. Everest to Chanel mittens for $1,345. So I thought it would be kinda fun to put my own ridiculous gift guide out. Ok maybe I overreacted mine is not as expensive as hers, not even close but still. Would love to hear what gifts you want this holiday season or what gifts you are giving! 1. Goop G.Nite Bath Soak - Nothing better than some TLC; calm down at night with this soak. 2. Fisch Leopard-Print Swimsuit - Perfect for a vacation to Cefalù, Sicily (which I'm trying to plan). 3. Prada Tote - I know, another bag. I never thought I would like a nylon bag but something about this one is making me think differently. Also its water resistant! 4. Anderson's Leather Belt - I have zero belts but they always add to an outfit so I think this might be the one I get! 5. Sisley Paris Rouge Lipstick - This color is gorgeous and the perfect stocking stuffer. 6. Le Labo Concrete Candle - Not a huge scent person but I die for this concrete vessel! 7. 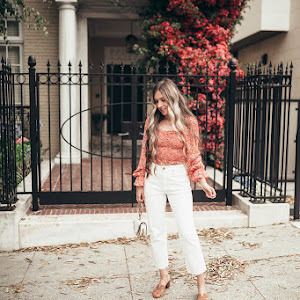 Gucci Shoulder Bag - I love vintage feels and this bag is giving it to me (lets be real, the whole collection is)! 8. Peloton Bike - I'm all about my spin classes so this was an easy want! Workout sesh at home? Hell yah! Less expensive here and with good ratings too! 9. STAND Shearling Coat - You know I love teddy bear jackets so why not add this coat to the list? 10. Louis Vuitton Passport Cover - This is my first year going out of the country and I've visited three countries in the last two months. I think I deserve this! PS if my mom is reading this, please don't get me any of this just feed me.